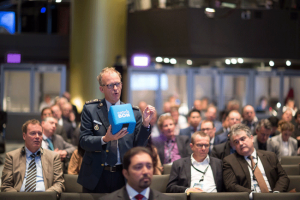 From 26 to 29 October 2015, for the fifth time, the WCO organized its Technology & Innovation (TI) Forum, a platform for leading experts and decision-makers from various border agencies, technology companies, academia and international organizations to exchange ideas on border management, enforcement, and the assistance technology can provide. 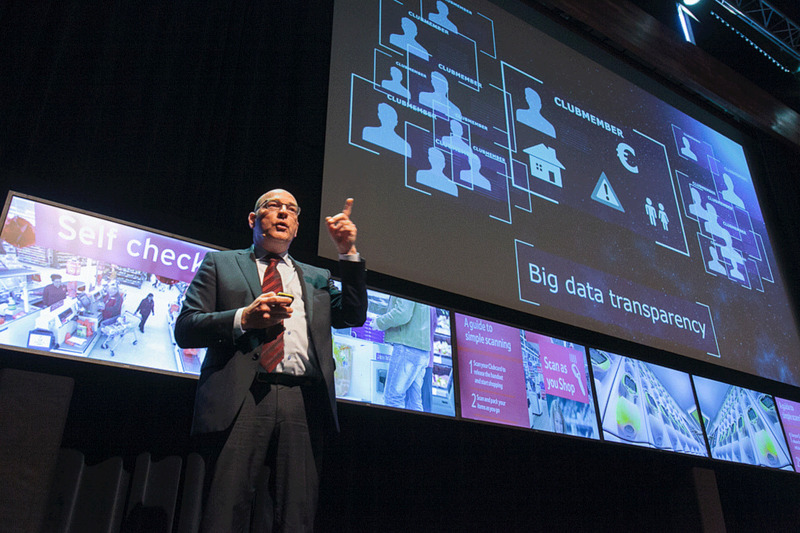 When asked which innovations are going to shape the future, many participants declared that fusion is the future, that is a combination of technologies, and the ability of systems to interact with each other: electronic pre-declaration linked to a GPS tracking system which monitors the movement of goods in transit; and matching biometric and biographic data to better process passengers at airports. Others highlighted the impact of the ‘Internet of things,’ i.e. the network of physical objects or ‘things’ embedded within electronics, software, sensors and network connectivity, which enables these objects to collect and exchange data. The analytical capacity of ‘big data’ was also seen as a game changer, and automation as a key enabler: automated border controls for checking trusted and registered travellers; and the automated detection of objects and commodities in scanned cargo. “We are here to share our mutual knowledge and experience in how to achieve a balance between control and facilitation,” said the General Director of Customs of the Netherlands, Ms. Aly van Berckel-Van de Langemheen during her opening speech. And the task for Dutch Customs is huge. Indeed, the Netherlands plays a leading role in trade and logistics on the European continent, and is commonly referred to as the ‘perfect distribution country.’ More than a quarter of all goods intended for European Union (EU) Member States arrive on Dutch soil; 300 million EU consumers depend on supplies that pass through the country, and volumes continue to rise. This situation requires considerable efforts on the part of the Dutch Customs Administration, which has, in response, set a point on the horizon: an innovative, stratified enforcement concept that will benefit Customs and the business community. In essence: appropriate inspection of each market party – from reliable company to unknown entrepreneur. During what all participants considered an amazing performance, Dutch Customs described its enforcement vision, with the motto ‘Pushing Boundaries’, a vision according to which Customs is able to verify – for all forms of transport entering or leaving the EU Customs territory – whether the required reports and declarations have been submitted, thereby enabling Customs to obtain a solid overview of each incoming or outgoing container and pallet. Achieving this vision is based on information from declarations and other sources, and relies on the use of state-of-the-art inspection, detection, and information technology (IT). A crucial prerequisite for this vision to be accomplished is cooperation. Others occasionally have better technical resources, better information, or a higher level of expertise. Therefore, any supervisory task requires working closely together with other enforcement agencies that are also responsible for border management, with trade and industry, and with the scientific community. “The Dutch have created a centre of excellence to validate technologies before purchasing them. They manage to stay at the forefront in terms of technology because they work in close collaboration with providers, and therefore the devices and machines they buy match their needs,” explained a representative of a technology firm. The use of advanced technology, adapted to context and needs, is important, but equally important is the way technology is integrated into logistics flows, so that controls do not hinder trade. In the Netherlands, a collaborative arrangement has already resulted in innovative initiatives. One of them is a public-private partnership project being deployed at Schiphol Airport and called ‘Schiphol SmartGate Cargo,’ which enables controls and supervisions to be carried out according to a ‘one-stop-shop’ model. Where inspections took place at different time intervals in the past, they are now combined, during ‘quiet moments’ in the logistics chain. In the coming months, they will also take place at one physical location, the Joint Inspection Centre (JIC). Soon, companies will be able to send freight to be checked to the JIC, where their goods will be processed. Remote scanning pilots are currently being conducted by a number of logistics companies, located at Schiphol Airport, whose premises have direct access to the apron, and who have their own scanners. Officers from the JIC send a scanning request to the company holding the cargo to be checked. The company then reviews the selected shipments using its own X-ray equipment. The Centre staff receive these images remotely, in real time, analyse them, and then decide whether to send a team to the company’s premises or not. Customs officers also receive audio and photo files, together with the Movement Reference Number – a unique number that is automatically allocated by the Customs office of export which accepts the export declaration in the EU. Customs also has mobile scanners to inspect shipments, as well as scanners controlled by operators. Moreover, aeroplanes can be scanned with a backscatter – unlike a traditional X-ray machine, which relies on the transmission of X-rays through the object, a backscatter X-ray detects the radiation that reflects from the object and forms an image. The installation of nuclear detection portals on the roads surrounding Schiphol’s secured airport premises is also part of the programme. All outgoing freight will soon be checked for radiation in a comprehensive and fully automated way. A site comparable to Schiphol Airport’s JIC will soon also be opened at the port of Rotterdam: the State Inspection Terminal. The facilities will largely resemble those at the airport, plus a separate warehouse for inspecting hazardous substances. Three major trends came up during the Forum in relation to inspection technology: Remote and centralized screening, combined or hybrid technologies and automation of detection. The Dutch administration uses one innovation for scanning operations, displayed at the Forum: fully automated scanning, as well as the integration of screening systems into one workstation. Countries usually have a fleet of scanning equipment, with each machine requiring a specific workstation/software, as well as specific training on how to use it. Non-Intrusive Inspection (NII) equipment is used in a standalone manner: all information collected from a scan is used once at the checkpoint level. It is not centralized, and creates ‘islands of information’ only visible at scanner sites. The integration and centralization of radioscopic images generated by scanners can solve this shortcoming. 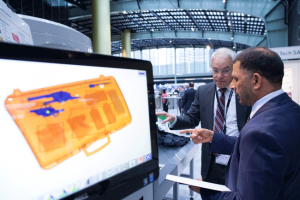 Some Customs administrations and some technology providers have developed platforms that can handle different brands and models of scanning equipment. This addresses the issue of the lack of an international standard on the market that defines a universal format for the images and data produced by such machines. Solutions providing for a common interface have been designed that enable all the images produced by the machines to be seen on the same screen, using the same analytical tool. Their benefits include the possibility of centralizing the management of scanning operations, and of handling inspections from a remote control centre. In addition, they eliminate the need for differentiated training for each type of X-ray equipment. Some providers have integrated this solution into the network of their customers, enabling them to give access to any other data and information available in their systems for comparison with the image. Such solutions also open the possibility of sharing data from the equipment with others, i.e. within the administration as well as with other agencies or foreign administrations. The utility of such a system when applied to transit trade is advantageous: scanning cargo at entry and exit enables images to be compared in order to detect any changes in the load. However, the exchange of images between countries could give rise to compatibility issues, including the fact that the image format would need to be made compatible or be standardized. Inspection devices now combine different types of technologies. An X-ray cargo inspection system can have an integrated radiation inspection capability, so that both inspections are performed simultaneously, without interfering with each other. The results of the radiation inspection are displayed with the X-ray image, so that the operator can evaluate an object which may have caused a radiation spike. The next generation of NII technologies also combines X-ray techniques that are capable of localizing the shapes and chemical information of objects, and additional techniques more sensitive to specific substances (such as organic materials like explosives, drugs and plastic weapons), in order to improve the ability to discriminate between material, as well as resolve issues related to the overlapping of objects. Scanning technology providers are, moreover, working on algorithms that will enable machines to recognize objects. Automatic detection tools are commonly known by the acronym ‘ATR,’ which means Automatic Threat Recognition, or Assisted Target Recognition. “What we’ve been actively researching are machines that help operators and analysts to identify anomalies and threats,” explained an exhibitor. ATR technologies are based on machine learning, which is the development of algorithms that learn from experience. Scanning technology providers are working on image recognition, i.e. training an algorithm to find specific patterns in X-ray scans of all sorts. This is not an easy task, as one needs to cooperate with clients, and possess a substantial bank of images. Building such a reference database of X-ray images is the aim of an EU research project called ‘ACXIS,’ which stands for ‘Automated Comparison of X-ray Images for Cargo Scanning,’ and which gathers together industry representatives and public entities. ACXIS detection is based on finding similarities between the active image and data gathered, by processing the reference cargo X-ray image. In other words, an image comparison is done between the reference library’s image and the image under analysis, or from a previously stored image of the vehicle. Such technology also enables specific objects – guns, for example – and abnormalities in the load to be found, and ‘ISO non-empty containers’ to be revealed, in order to detect contraband and illegal goods, forgotten or intentionally left in an ISO container, or differences in the load. Manufacturers are also working on the auto detection of the nature of goods: the combination of specific imaging technologies that enable an officer to distinguish between commodities, based on their material composition and density. The system will colour the image according to the HS code of the commodity. “By only scanning cargo when a risk has been identified, we think Customs is not using its equipment the way it should. With the right machine at the right location, it is now possible to scan all cargo without hindering trade, and to enhance capacity to detect threats,” explained the representative of a manufacturer. The demand for fast and accurate mobile techniques for the detection and identification of products is higher than ever before. There are many handheld analytical devices on the market for chemical, metal, and alloy identification. The exhibitors gave the participants an opportunity to experience how these devices perform, and how easy they are to use. Issues related to the functionalities of these devices, such as the integrity of evidence, and the ability to easily add new substances to the device’s library, were also discussed. Technology providers are also bringing mobility to the table. One impetus for the use of mobile detection technologies is the lengthy time and high costs associated with laboratory analytical methods. Thanks to mobile identification equipment, detecting a substance can be dealt with directly at the frontline. The new generation of handheld analytical devices is meant to provide users in the field with high quality evidence quickly and easily. “In the future, in many cases, there will be no need to send samples and wait for the results from a Customs laboratory. The technology enables us to analyse everything at the border,” explained a Customs representative. The fact that objects are increasingly being embedded within electronics, software, sensors and network connectivity, enables them to collect and exchange data, opening new ground in terms of surveillance and position tracking. Electronic seals can now be programmed to send real-time location information, status information (temperature, humidity, status of sealing, etc. ), and alarms for specific events – for example, if the load has not moved for a prescribed time, if there is a breakaway from the designated operational route, or if a container seal is removed by force. Seals can be reprogrammed whilst in route and can be placed inside the container, making it difficult to access. A new solution to monitor ship movements at sea was also displayed at the Forum. The system pulls information from a ship’s self-reported Automatic Identification System (AIS) vessel data, which tracks the ship’s location, size, coordinates and identity, using multiple maritime data sources, including publicly available and open source information, to identify anomalies or specific patterns – for example, vessels that take unusual routes, have their beacon turned off, or enter a specific territory, etc. The industry continues to develop ways to collect and display data, and the ‘Internet of things’ is generating even more data. Customs has, or will have, a critical mass of data at its disposal. But simply having data has no value for its own sake. Data only has value when it is used, and in this regard Customs administrations need to develop their analytical capacity. However, turning this data into a valuable resource is not an easy task. Advances in analytics allow Customs to learn about patterns of non-compliance that it did not know before. “Innovation starts with a big clean: leave some ideas behind,” highlighted another speaker, who explained that some results are counter-intuitive, and show that often intuition fails. It does not mean that algorithm forecasts are better than human ones, it just means that the combination of computer and human forecasts produces the best results. Participants also discussed issues related to the vulnerability and security aspects of technologies, the necessity to build a dialogue between enforcement officers and technology providers while respecting procurement rules, as well as human resource issues. The deployment of new technologies will definitely impact human resource policy, with Customs needing to train staff, and to attract and retain new talent. “It is essential to know where we are going and what kind of professionals we require. If we do, we can prepare for that, start lobbying, invest, and train,” explained a Customs representative. “Innovation is necessary if you want to remain at the same spot, while disruptive technology is necessary if you want to advance,” raised the same speaker, reminding participants of the two categories new technologies are usually classified under: “sustaining technology,” which relied on incremental improvements to an already established technology; and “disruptive technology,” which is defined as a technology which displaces an established technology and shakes up the industry, or a ground-breaking product that creates a completely new industry. It is critical for Customs administrations to understand which technologies will matter to them, and prepare accordingly. 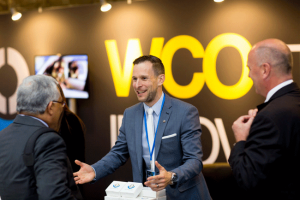 The WCO looks forward to meeting you at the WCO IT Conference and Exhibition in June 2016, or at the next TI Forum in 2017, to continue the dialogue.